You can rotate a floor material to change the direction. 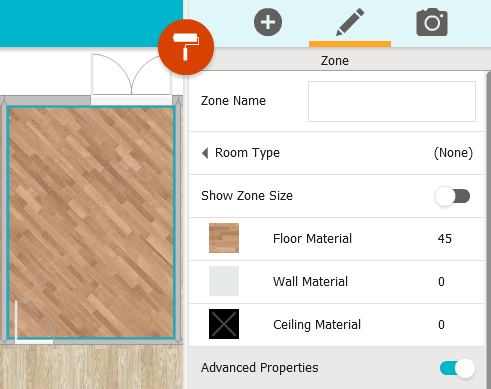 This article describes the steps when using the RoomSketcher App on a computer or tablet. 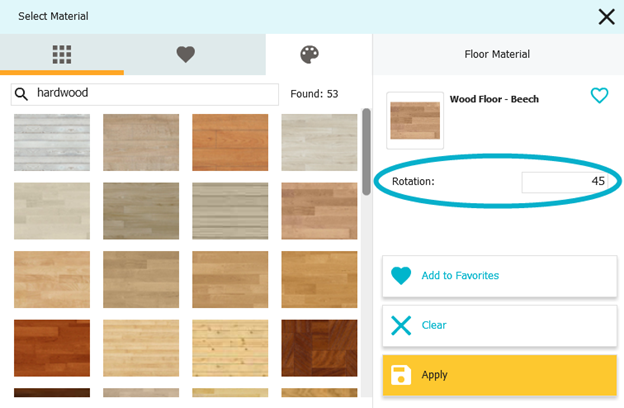 In Materials mode, click the room that contains the flooring you like, to select it. Its Properties appear on the right. Click Floor Material. The Select Material page appears. In Rotation, type the angle of rotation. For example, 45 degrees or 90 degrees. Click Apply. The flooring rotates.